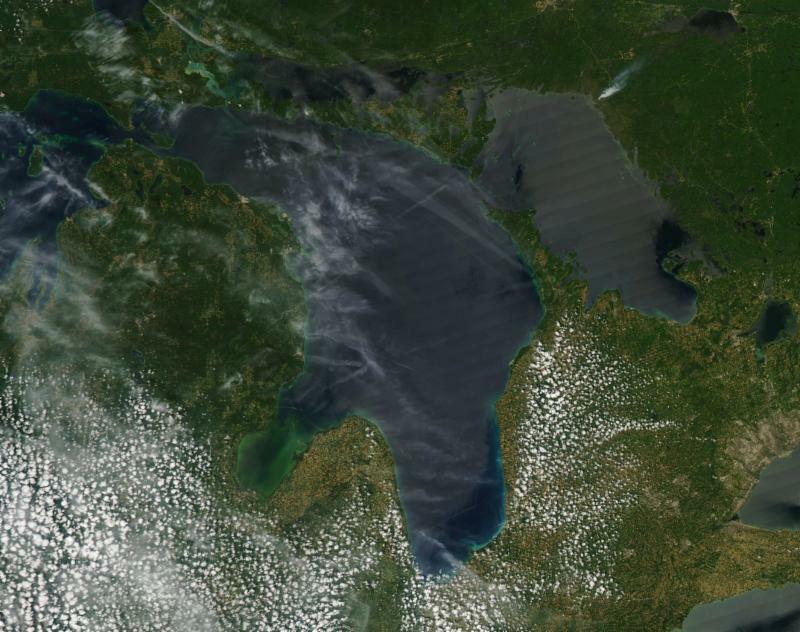 The weather is gorgeous – but we desperately need the rain! May it rain at night, and be sunny during the day! the fires up north, the phone numbers to report infractions and the dos and don’ts during a Total Fire Ban which IS in effect! Yesterday PaBIA’s patrollers and Cath Fairlie, the MP Supervisor, met with Gary Joice, the ToA Bylaw enforcement officer, to discuss how we could work together when we see campfires or fireworks. He has just communicated to me that the MNR is so concerned about the fire risk that they now are doing night patrols in the PaB and Bayfield islands. He ask that if we, or any islander, observe ANY open burn fires or fireworks that they contact him immediately at 705-774-3630. He will then relay this through to MNR dispatch. They are particularly concerned with the upcoming long weekend which is often a time for fireworks. They also want us to know that the fines are very large and that there will be no leniency or warnings issued during this high risk period. There were no new fires in the northeast reported by the Ministry of Natural Resources and Forestry on Sunday, but crews continue to battle 39 active forest fires across northeastern Ontario. 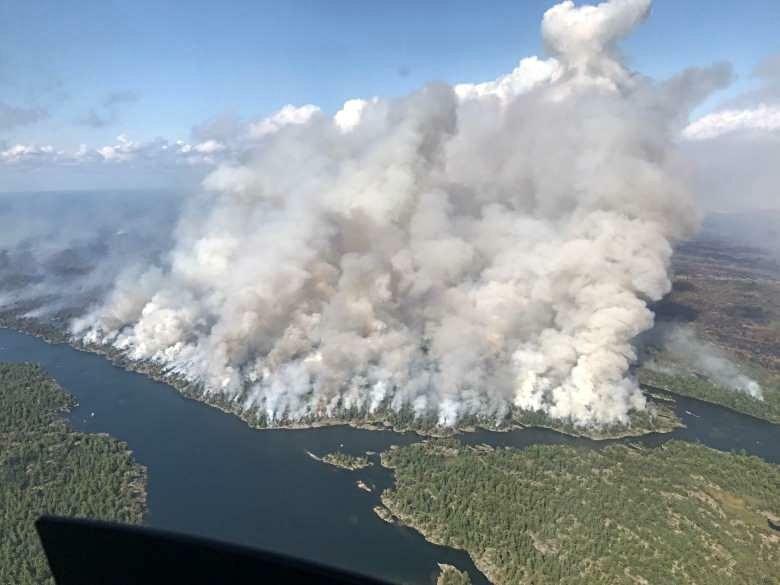 Twelve of those fires are not yet under control, including Parry Sound 33, which has caused the evacuation of people from Key Harbour and Henvey Inlet First Nation. In a release, the ministry said the fire remained at about 7,650 hectares in size, but that winds blowing from the southwest will keep crews busy along the portion closest to Highway 69. The ministry said the fire was about seven kilometres from the highway overnight into Sunday. The GBA put out at the end of last week an announcement in this regard. They reported that the Key River Area Association, is suffering from a massive fire in their area. An undetermined number of their camps/cottages have been lost and most of the area has now been evacuated. It has now been established that this fire was caused by workmen on the construction project for the Henvey Inlet Wind farm carrying out some blasting, which was not permitted, due to the total fire ban in place. Our thoughts are with the families. 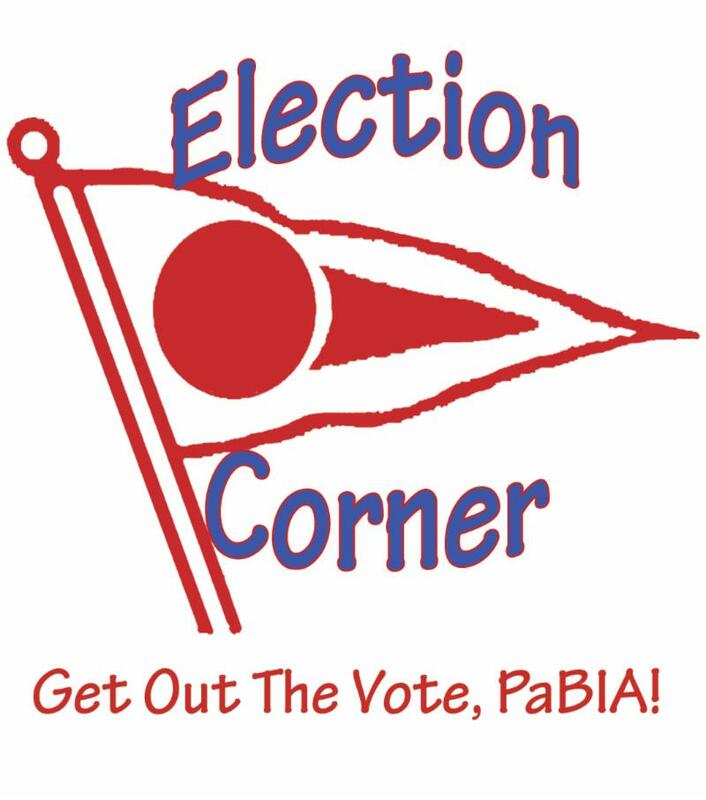 In the PaBIA Connections Update circulated on June 20, 2018, we wrote, “There is a Township election for our next Councilors to serve on your behalf for the next 4 years. Over the past several years, many of our members have asked us, in one way or another, ‘Why don’t more people run for Council? 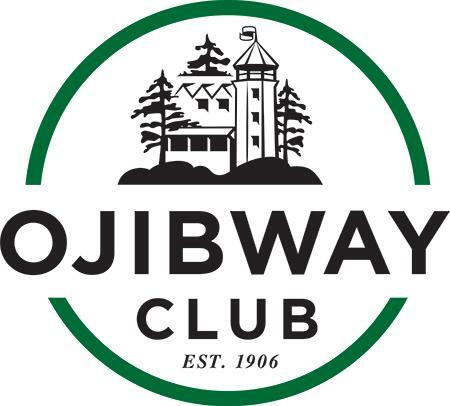 '” In light of this, we brought your attention to a Candidate’s Information Session that was held in Parry Sound the following evening and directed those who could not attend to the website of the Township of the Archipelago where detailed information was available for possible candidates. Now that the process for declaring is closed, the PaBIA Board has been advised that two of its current Directors, Earl Manners and Scott Sheard, will be running for Council for Ward 3 in the upcoming Municipal Election as will the incumbents, Ken Williams and Gary French. We are also now aware that there will be 3 candidates for Ward 1: Tom Lundy, Greg Andrews and Laurie Emery. With Peter Ketchum stepping down, the Reeve will be, by acclamation, Bert Liverance, a current councilor from San Souci. 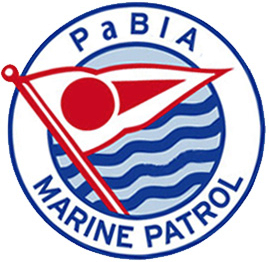 Earl and Scott have notified the PaBIA Board that, as of Monday, July 30, both are taking a leave of absence from the Board to run their campaigns and to ensure there will be no conflicts or appearances of conflicts. While we will miss their thoughtful and conscientious participation on the Board, we respect their decision to take on this new endeavour. 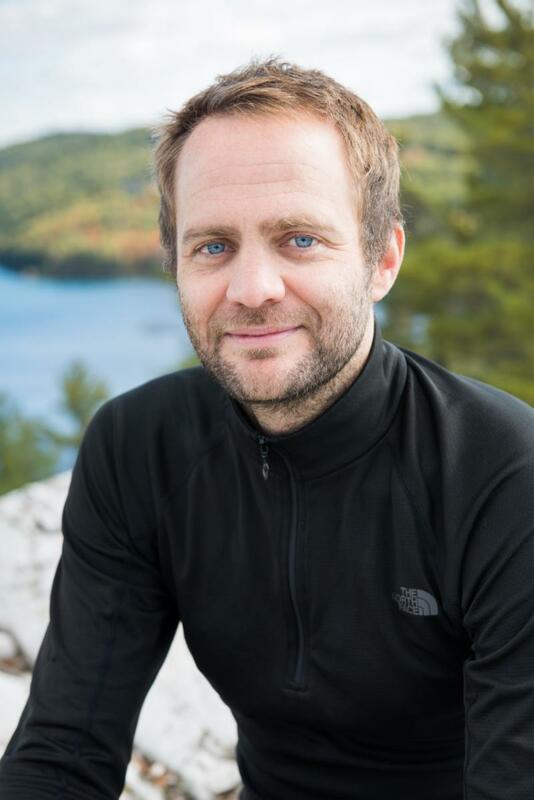 David Sharpe, our Marketing Director, will also be taking a leave of absence as of July 30 in light of his offering to manage their campaign, but will return to his role as Director of Marketing upon completion of the vote in late October. As promised, PaBIA’s Board intends to direct a series of questions to each declared candidate for both Ward 1 and 3 to give us all a better sense of where they stand on matters of concern to our community. Their responses will be shared with you. Our aim is to ensure that each voter has the opportunity to be informed on the candidates for whom they are voting. We also encourage all those eligible to vote in the October 22, 2018 election. Information as to who is eligible and instructions on how to do so electronically will be provided in due course. 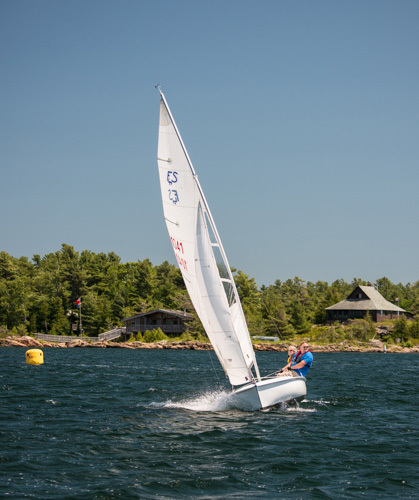 FRIDAY, August 3 – 10:30 a.m.
Scot race week is going through to today and anyone, (this means you), who has an interest in sail racing is invited to come and get on a boat for a few quick races. 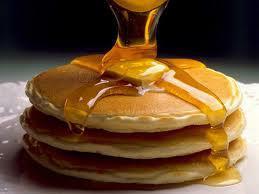 Come for the morning, it may change your cottage life! 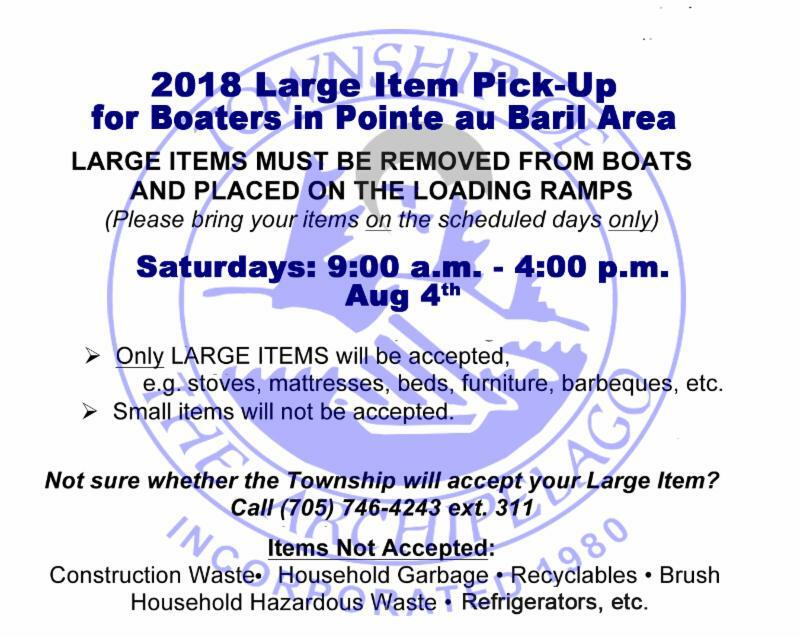 Please meet at the Regan Ojibway Cottage docks at 10:30 on Friday, August 3.. The Race will begin at 11:00…with the course to be determined. Questions, please contact Margie Wheler. 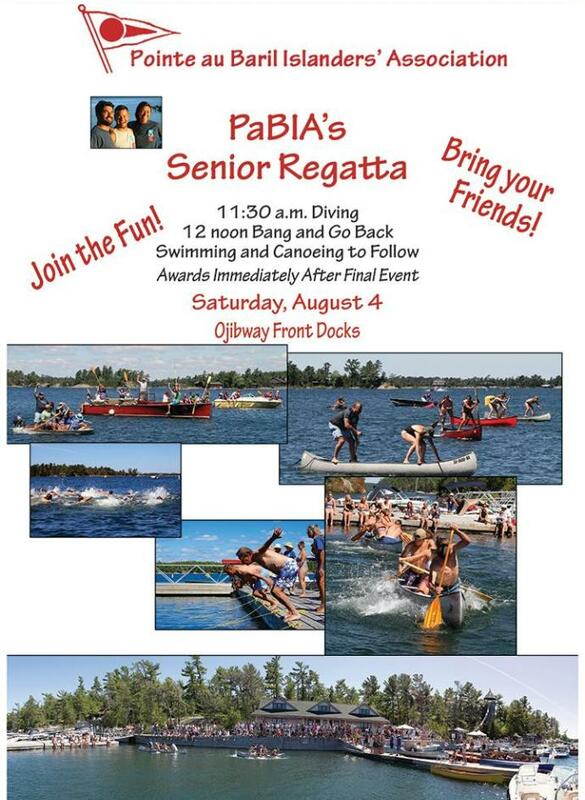 Senior Regatta – Saturday August 4 @ 11:30 a.m. Pointe au Baril Nursing Station. 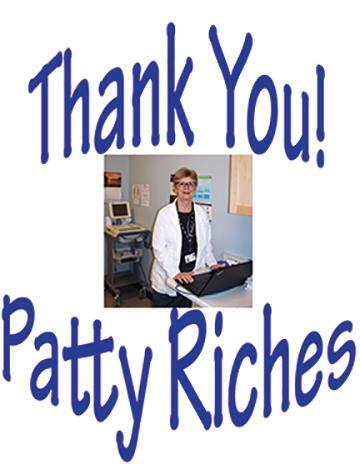 At the meeting you will have time to sign the card that will be presented to her at her retirement party on August 11th. More on that below! 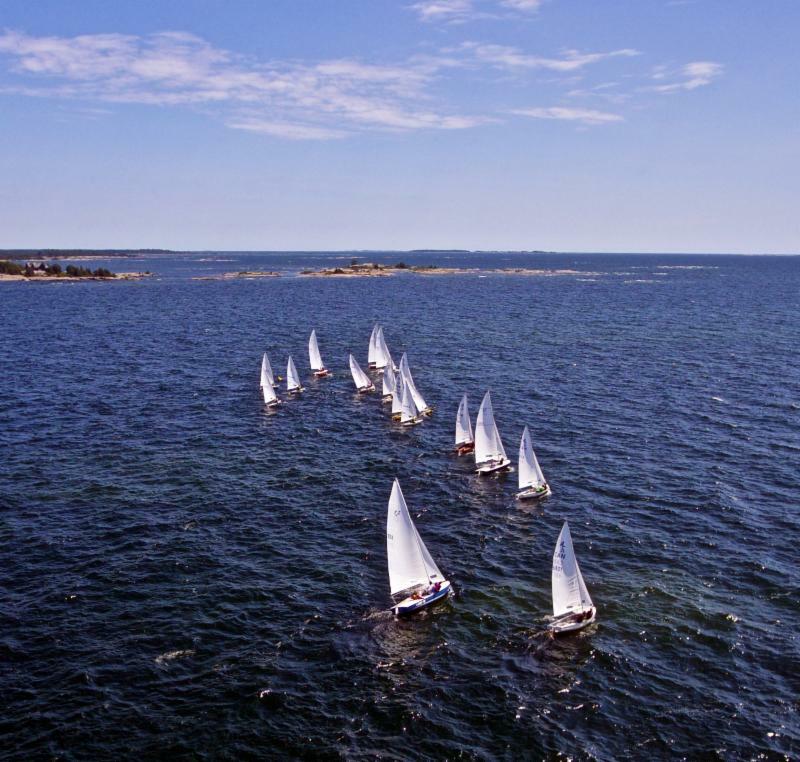 PaBIA Sailing: SUNDAY August 5th @ 2:00 p.m.
We raced around Lighthouse Bay course this week. The course is squeezed into the area south of Double Island and west of the main channel. Oldfield Island gets caught in the middle if there is a westerly wind blowing. Then the fleet theads through the narrows to the south of Oldfield on the way to the leeward mark. The race becomes much more animated as 16 boats get put through this sausage maker together where wind gets stolen and race positions are upended. Thanks to Margie and Rob Wheler for hosting a great Rendezvous at their place overlooking Brooker and the open Bay. The race this coming long weekend is being held this Sunday at 2:00, the course is out on the Open, on Georgian Bay, over somewhat deeper shoals. Go out Empress Channel to rig and sail. The Rendezvous will be held at Jane and Bob Mosley’s at A379-1. Sunday, August 12 @ 12:30 p.m. 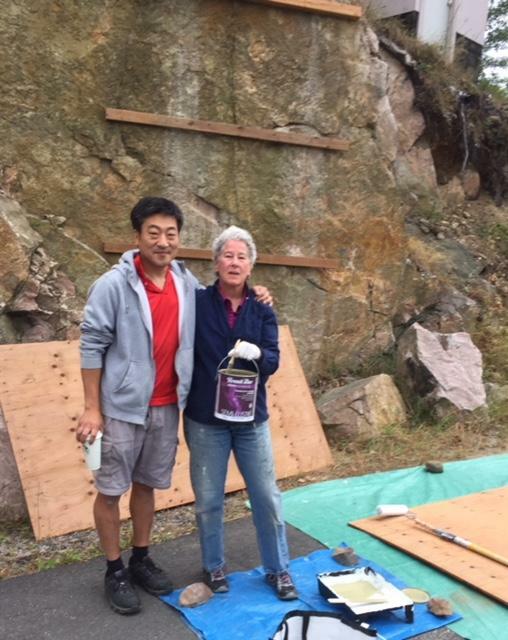 The Habitat Team has received adequate donations to start the house engineering process. Pictured laying out the house location on the lot at 126 North Shore is Bob Fisher, islander, Kieron Bayley, village resident and retired engineer and Rob Mertz, visitor and volunteer. It takes people from all walks of like to build a Habitat home. Just this week PaBIA made a generous donation. 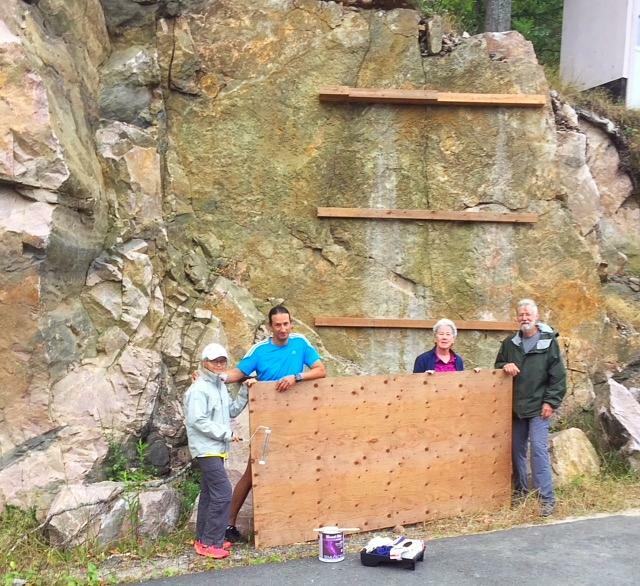 BNIA (Bayfield-Nares Islanders’ Association) “is pleased to stand with our PaBIA neighbors on this great project supporting the local communities”. A Shovel in the Ground event is planed for Monday, August 13th at 11:00am at 126 North Shore Road, 1/2 mile past Desmasdons Drive. 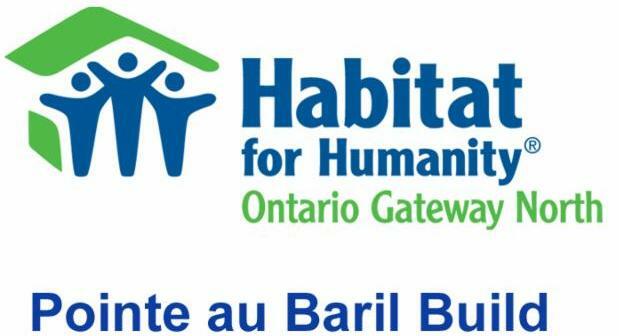 Come meet with staff members from the Habitat OGN office and some of the Pointe au Baril Build team.. Ask questions and see where the home will be built. For questions about American tax receipt, please call Kim Woodcock, CEO at (705) 646-0106 ex 206. 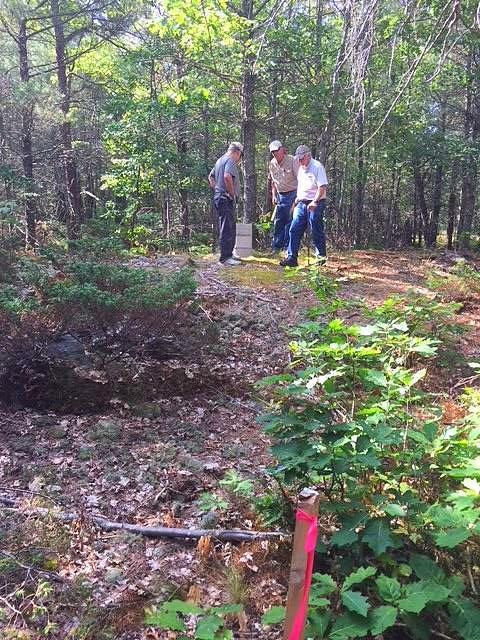 Georgian Bay Association issued a press release last week in response to the observation that the new Hydro line being constructed along Highway 69 here in our area posed a fire threat much like what is believed to be the cause of the “Parry Sound 33” fire further north. The GBA wrote to Minister Yurek and copied Premier Doug Ford requesting a halt to the present construction in our area. MNRF has advised that there is an ongoing investigation into the cause of the fire. “An Ontario Forest Fire allegedly caused by construction work at the Henvey Inlet First Nation wind farm project site has been sweeping through the Key River and French River communities along Georgian Bay and inland and is still not under control. 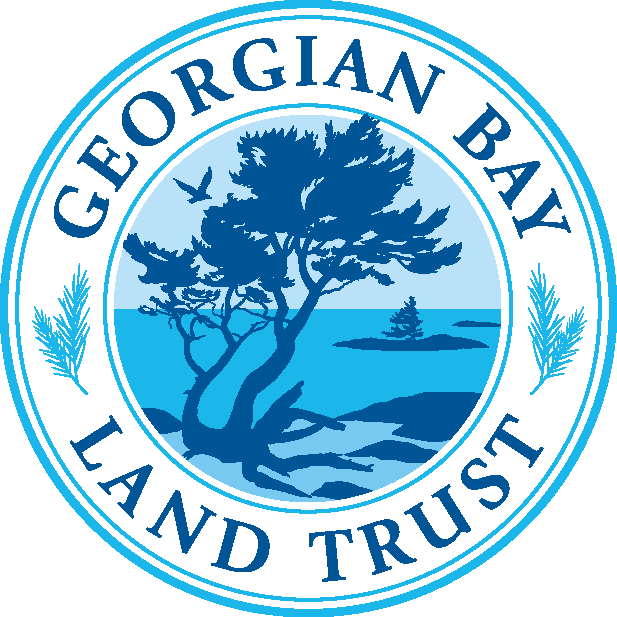 “Georgian Bay Association has asked the Minister of Natural Resources and Forestry, Jeff Yurek, and Premier Doug Ford to call a halt to construction work that might cause further fires on the extensive new Hydro line associated with this wind farm project. The coastal wetlands of Georgian Bay are essential for numerous amphibians, birds and reptiles. 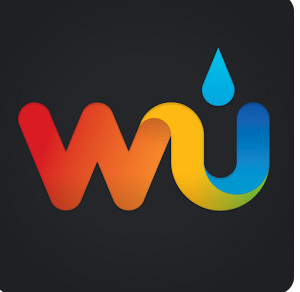 They also help to control floods and filter pollutants from rainfall. Unfortunately, wetlands are at risk from shoreline modifications, invasive species and climate change. 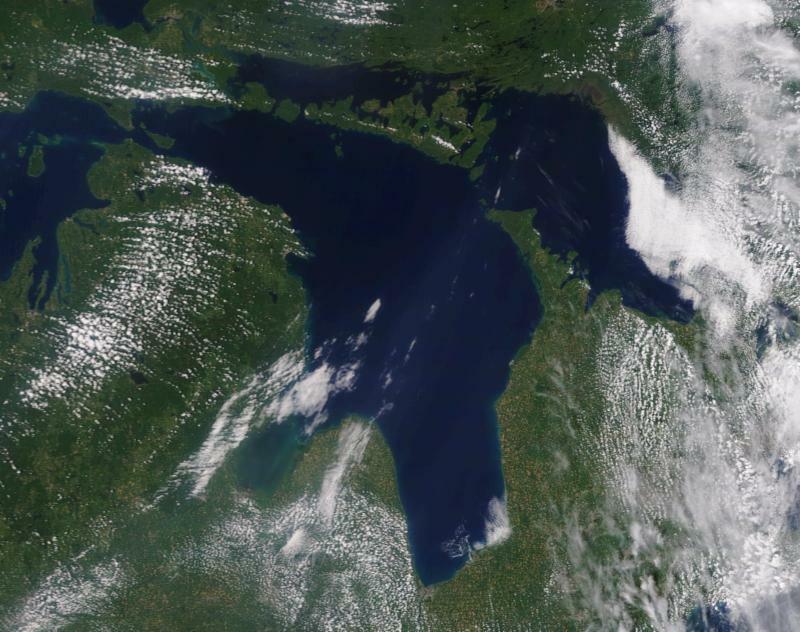 Using satellite images, a study by Georgian Bay Forever found that between 1987 and 2013, there was a 7% increase in wetland cover in northern Georgian Bay and a 10.8% loss in southern Georgian Bay, with an overall net loss of 3.8%. It is important to understand that it isn’t the overall loss that we should focus on, but the local environmental impact. Changes to water levels and wetlands affects the types of plants and animals that can survive. Focusing on local impacts also means we can get involved in protecting and monitoring wetlands. The Marsh Monitoring Program encourages volunteers to record trends in marsh birds and amphibians around the Great Lakes. The Early Detection and Distribution Mapping System is another reporting tool where you can submit invasive species sightings by uploading a photo. This information is then readily available for scientists and the public so invasive species are more easily managed. Visit State of the Bay to find more ways to get involved in wetland conservation and monitoring! A lifetime of fishing memories has begun! 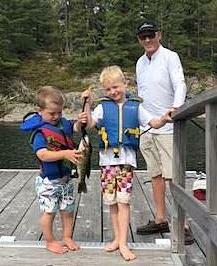 The photo shows Sam and Alex Short, ages 8 and 5, the children of Jennifer Metcalfe Short, and the boys’ grandfather Bob Metcalfe, on the occasion of the boys catching their first-ever bass! A beauty! 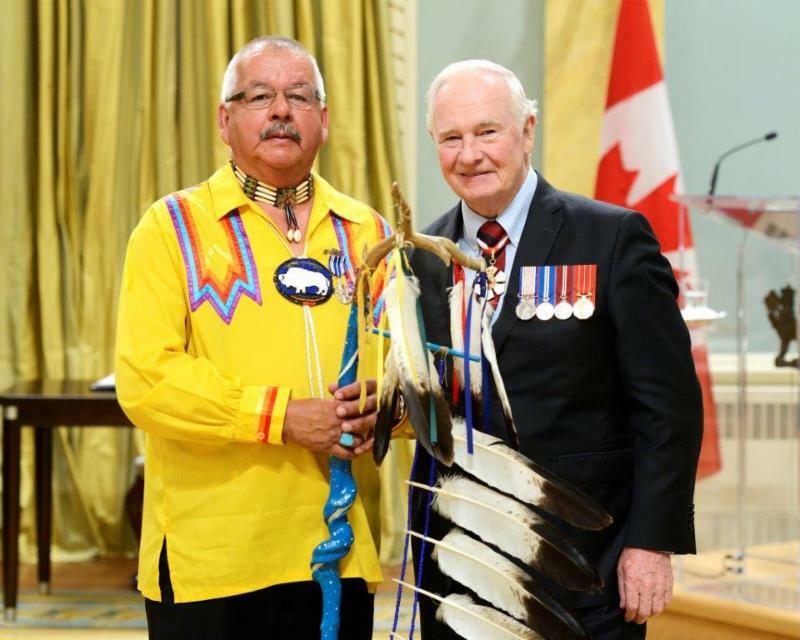 Congratulations Sam and Alex, and many thanks for the photo Bob! 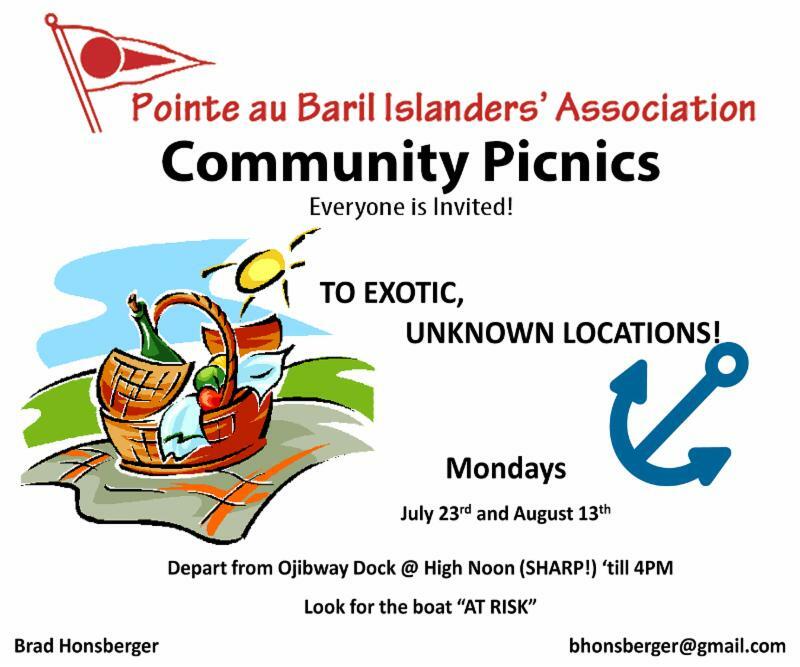 If you have a story and photos about fishing in P au B this summer, please let me know and I’ll feature it in PABIA eblasts. Tag Colour, description and location on the fish’s body: MNRF tags will be found below the back dorsal fin towards the front of the fish, however Lake Huron is co-managed by different agencies and the MNRF is not the only agency tagging fish. Other agency tags could be different colours and in different locations on the fish. We will ensure partner agencies get tag information from any tag reported to us. A digital photograph of the tag is helpful if possible. Please email to the address listed above. 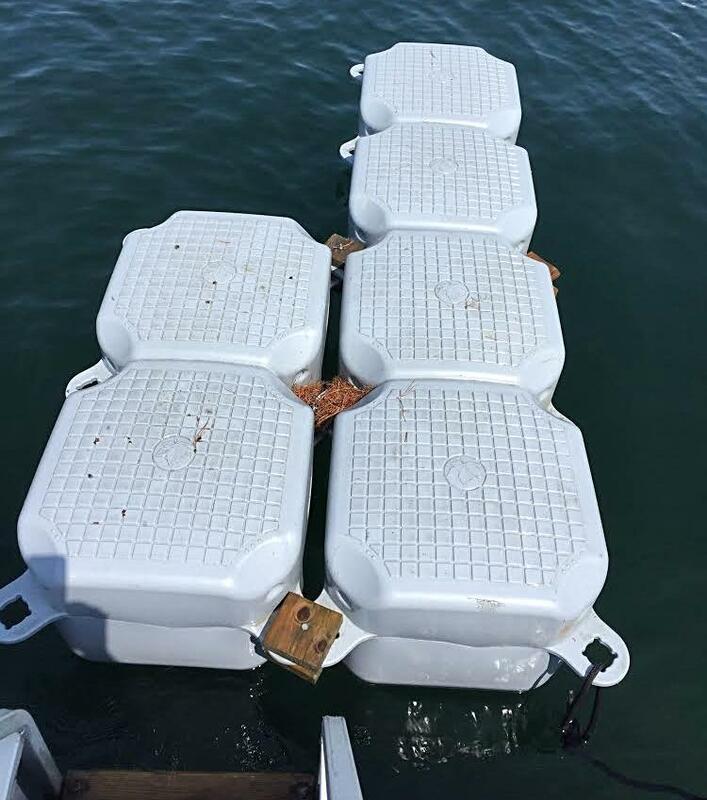 This was found in the Shawanaga Channel near Turning Island. It is now at the Bradshaw’s 501A1 if the owner wants to pick them up.